Adam Levine visited Howard Stern and the Maroon 5 star slammed the record labels behind ‘The Voice,’ for their inability to produce an actual music star, unlike ‘American Idol,’ who has had massive success with Kelly Clarkson, Carrie Underwood, and more. According to Levine, when the baton is passed post-Voice, the label flounders. He said that though he tries to help by using his own star power to promote his winners, the process is far too complicated to fix. Per the Washington Post, “Depending on their genre, winners go on to a variety of Universal labels, from Republic Records (Tessanne Chin, Sawyer Fredericks) to Nashville’s Big Machine (Danielle Bradbery, Cassadee Pope).” He also added that ‘American Idol’ released new singles during the finale, followed by a very quick turnout of their debut album. ‘The Voice’ does not. What’s interesting about Levine’s stance is that Simon Cowell’s true motivation behind ‘American Idol’ was always to produce a music star, not a television show. Cowell felt the labels weren’t doing their job of finding the next sensation, so he’d do it for them. His planned worked, and he used ‘American Idol’ as a platform to push his find. 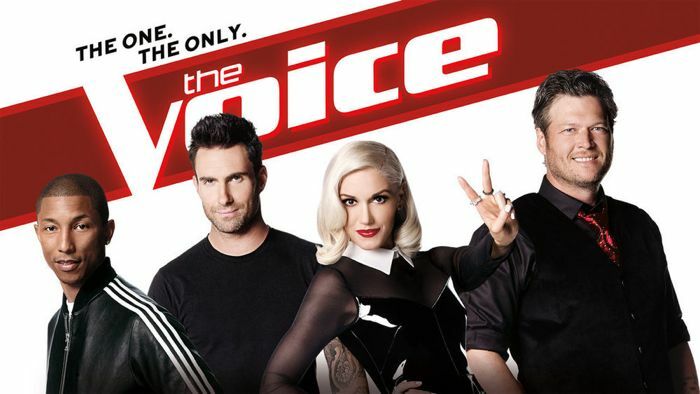 ‘The Voice,’ is created by powerhouse reality producer Mark Burnett, whose musical expertise doesn’t hold a candle to Cowell. The man can make a show, but he can’t make a music star. Furthermore, the judging panel has zero A&R experience, and while it might be nice to see Gwen Stefani’s outfits atop a big red chair, she’s never found the next big thing. As for Adam Levine himself, my critique holds the same weight. Hats off to Adam Levine for an honest Howard Stern interview. Hopefully the powers that be will attempt an intervention and take action. Otherwise, you’re just a bunch of big stars on big red chairs with big paychecks. It’s surely a pretty picture, but when the gloss begins to fade, so will the audience.